Leaving my winter coat in the car as my husband left me at the Denver International Airport did not concern me in the least as I headed to Manzanillo, Mexico for the annual Mexico State Conference, Linda Shiflett, State Regent. I was surprised to learn that many Daughters throughout the world annually escape the throes of winter weather to bask in the warm sun and surf with the Daughters in this beautiful country. While I left 16° temperatures, the Montana visitors left a -21° reading. But while the sun was warm the Daughters were even more welcoming. Thanks Mexico for a fabulous fiesta! On Friday, February 23, 2018, President General Ann Turner Dillon was met at Manzanillo, Mexico airport by myself, Honorary Vice President General Mary Lu Savedra and Personal Page to the President General Mari Noorai. 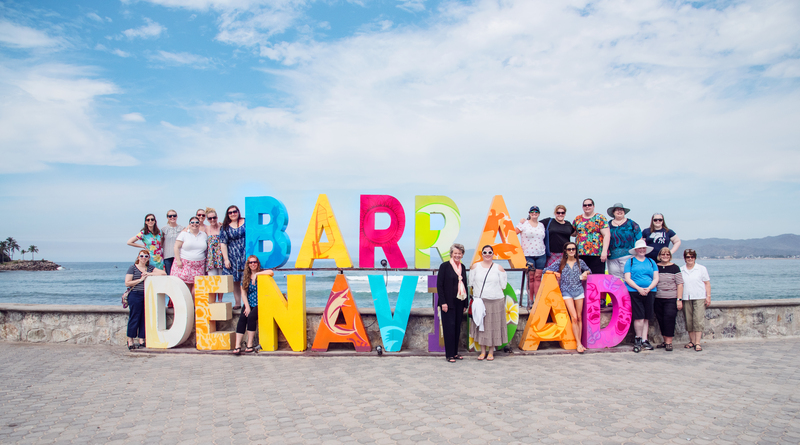 We then traveled to the Grand Isla Navidad Resort where the events of the 42nd annual Mexico State Conference had begun with Workshops on Estate Planning and Understanding DNA. The Welcome Reception was held in the beautiful garden setting when Mrs. Dillon and Linda Shiflett honored the HODAR's with the presentation of the Dillon Administration Westward arrow HODAR lapel pin. On Saturday, the official Conference began with a reverent Memorial Service, Teresa Calero, Mexico State Chaplain presiding. Reports of the State Officers, State Chairman and Chapter Regents were given and a report on the work of Units Overseas was given by Diane Hamill, National Chair. The Conference Luncheon was held after a MIA/POW Missing man ceremony honored those Vietnam Veterans. Two Community Service awards were also presented. Saturday evening, a true Mexican Fiesta was held poolside complete with Mariachi music and sumptuous buffett of Mexican delicacies. This evening honored Mrs. Dillon and the 22 " Amazing" Pages who were an integral part of this State Conference. The Pages represented Mexico, California, Connecticut, the District of Columbia, Georgia, Indiana, Michigan, Minnesota, New York, Rhode Island, South Carolina and Texas. All in attendance were grateful for the Pages assistance on many levels. Monday’s tour took attendees to the city of Colima and the village of Comala where we saw among the planned sites, a steaming Volcano. 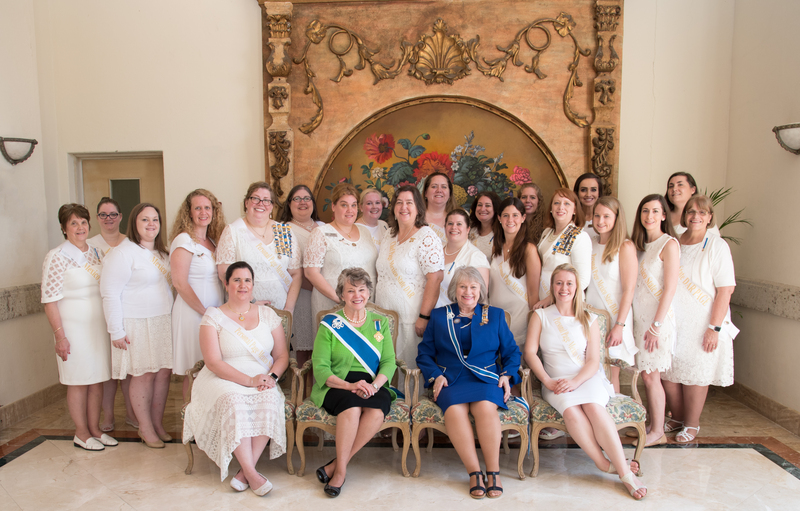 It was an honor and pleasure to have Mrs. Dillon visit and get to meet the Mexico Daughters. We believe that we are " Moving forward to service in America and around the world" and are looking forward to the Units Overseas Luncheon and Bazaar during the 127th Continental Congress.